Additional Information In Stock and Ready to Ship!! This is an incredible find-never before seen. 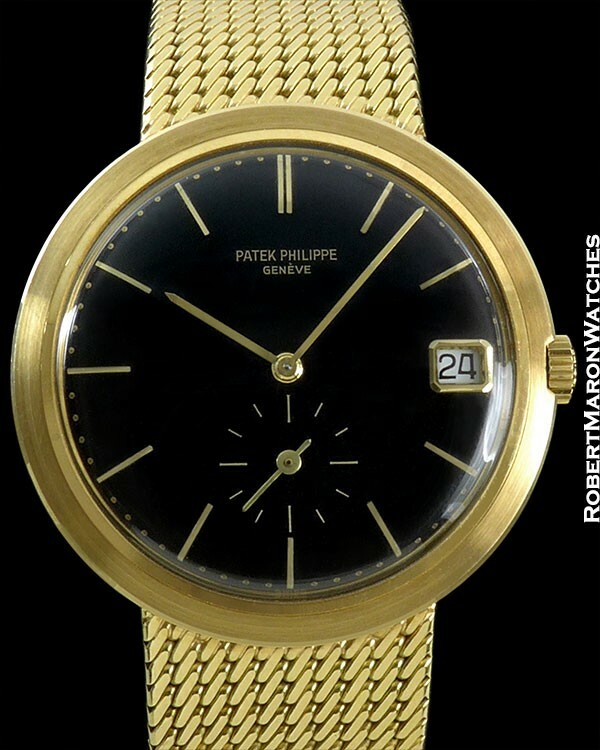 This is a new-old-stock condition Patek ref. 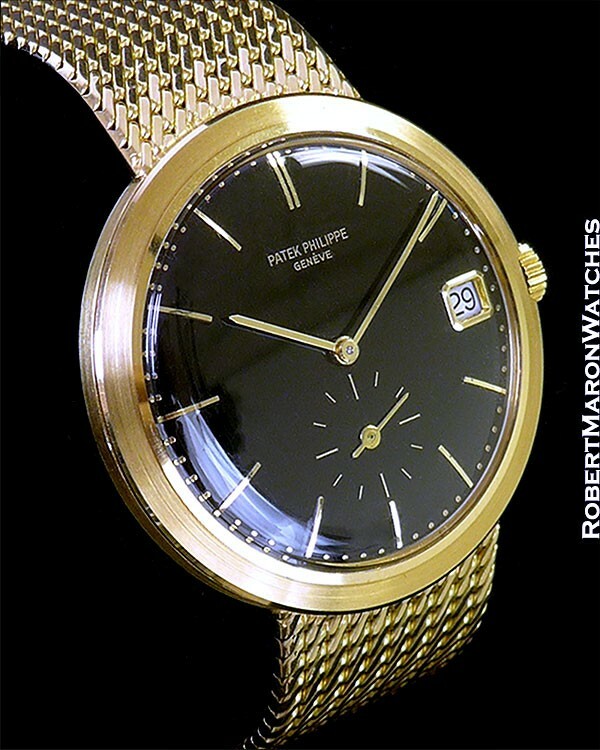 3565 snap-back automatic calendar watch in 18K with 18K classic bracelet attached. 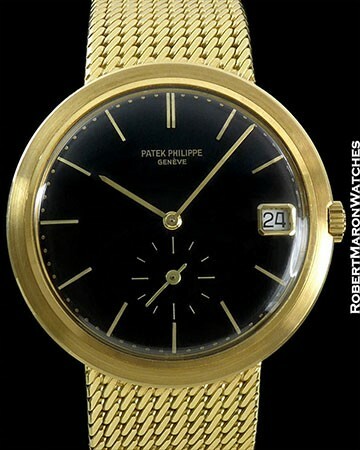 It has a 'probably unique' black fully enamel dial with sunken baton indexes. Incredibly beautiful mirror-finish dial without hairlines nor cracks of any kind! 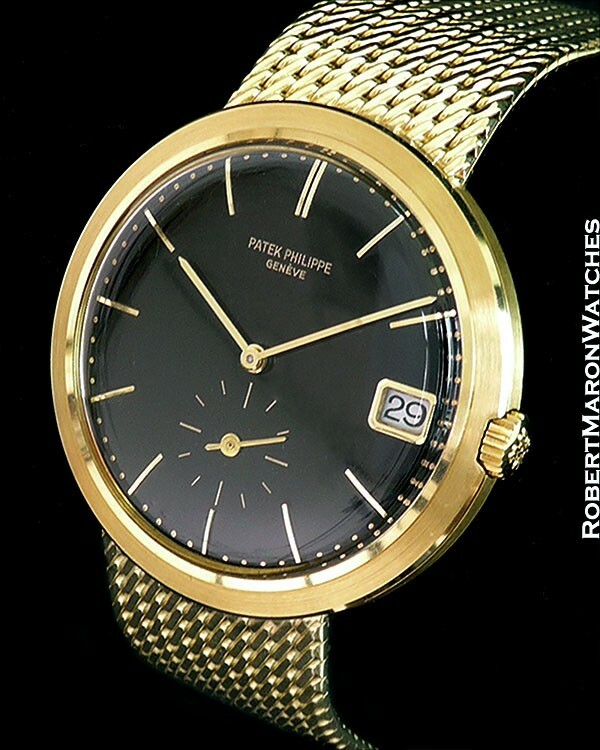 This watch is gorgeous! !